Backup and recovery go hand in hand. While these are respective in practice, they produce the greatest benefit when used together. We use powerful policy-driven solutions to combine automated local backups with clould options for secure off-site data storage. Rest assured that your data is secured with Omega's backup and recovery solution. With a comprehensive backup solution, including on-site and two separate off-site locations, your data is the most secure it’s ever been. We want your data security to be affordable. And it is, without any per-server or per-application license fees. Data is automatically backed up to the appliances both on-site and off-site. If a service issue is detected, an automatic email alert will be sent out to the administrator. Your data and information are protected with 256-bit encryption to ensure the highest protection that not even the best hacker out there could break. Omega’s backup solution works to improve efficiency by providing lightning speed back up for applications and servers. No waiting around to regain your lost files. The state of system backups and servers are run through software captures to support the message to database recovery level. Things happen and it's best to be prepared when they do. 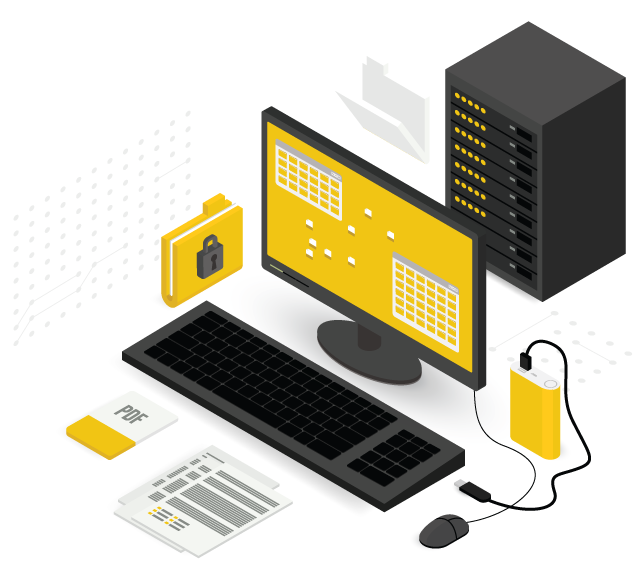 With our fail safe backup solution along with encryption, you can sleep at night knowing that if you experience a data disaster, we have your back.